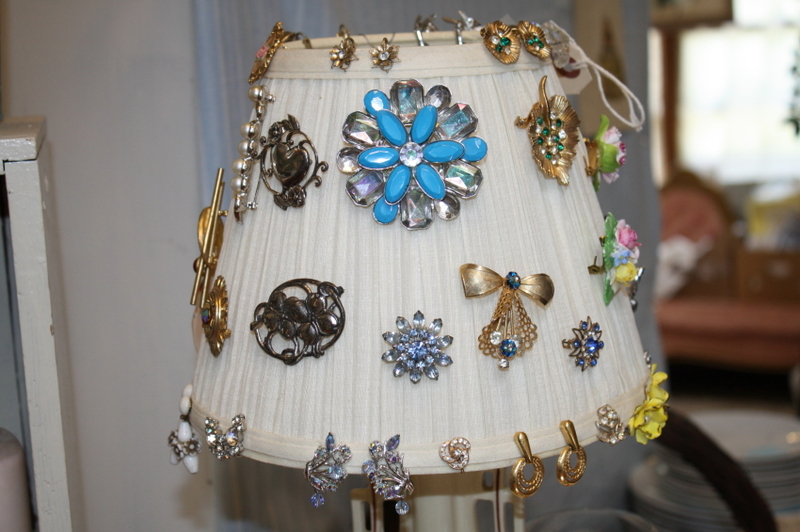 Vintage Jewelry Display & Storage Idea | Cape May Antiques Inc.
Fun new way to display and store your jewelry, pins and earrings! I was bored the other day and wanted to display my jewelry for sale differently. So after staring at a lampshade for a few minutes…it hit! Pin the pins, hang the earrings from the lamp shade! This particular shade swivels on the bulb so it can be moved around to show all sides…neat way for you to store your jewelry too!